Since the last Release of our AOL AIM Messenger a lot has changed, AOL AIM has now become larger in size and supports Mobile and Smartphones like never befor. You can now directly connect through Website and Website Widgets and directly into AOL AIM Messenger Chat. 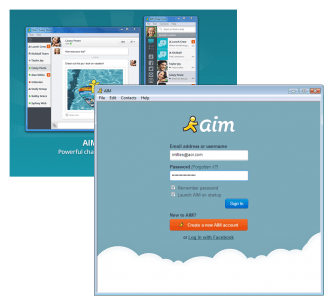 AOL AIM is a Group and one-to-one chat, instant media previews, social updates and notifications and more – all in a clean, powerful application for Windows.